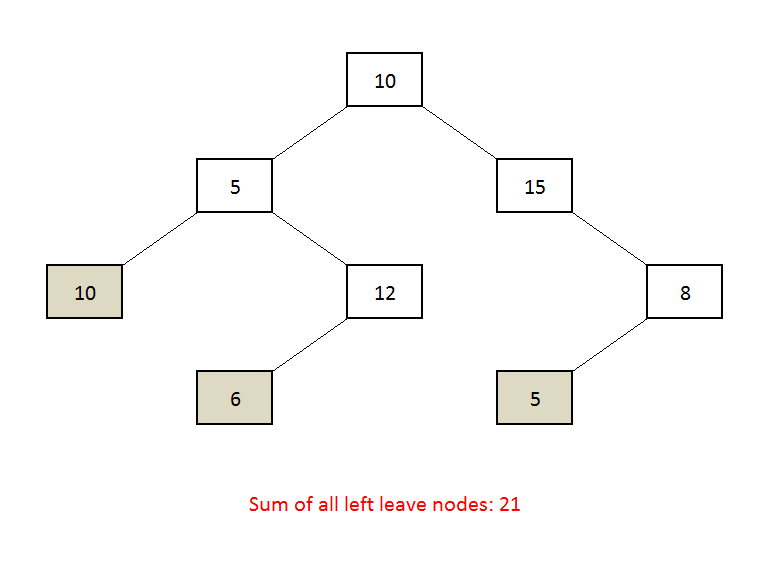 Objective: Given a binary tree, find the sum of all the nodes which are left as well as leaves nodes. Get the Sum of all left leaves in a Binary tree. check if node if the left child and leaf node. If yes then add it to the sum. 237 queries in 0.140 seconds.